That being said, things may get slightly difficult for novice hunters when they get used to various aspects of bowhunting. In fact, a couple of challenges associated with this style of hunting may be too great to overcome for some. Fortunately, if you are new to bowhunting and in need of guidance, you should able to find it right here. In this article, you would be provided with some tips and tricks that should offer considerable improvements your bowhunting experience. Take a look at them in order to have a good time on the field. “I already own a good bow so I don’t have to a get a new one” you may think. Well, you could technically use any bow you want but there are considerable differences between hunting bows and archery bows. In most of the case, hunting bows are optimized for speed, power, endurance and maneuverability while their archery counterparts mostly lean toward long range accuracy. 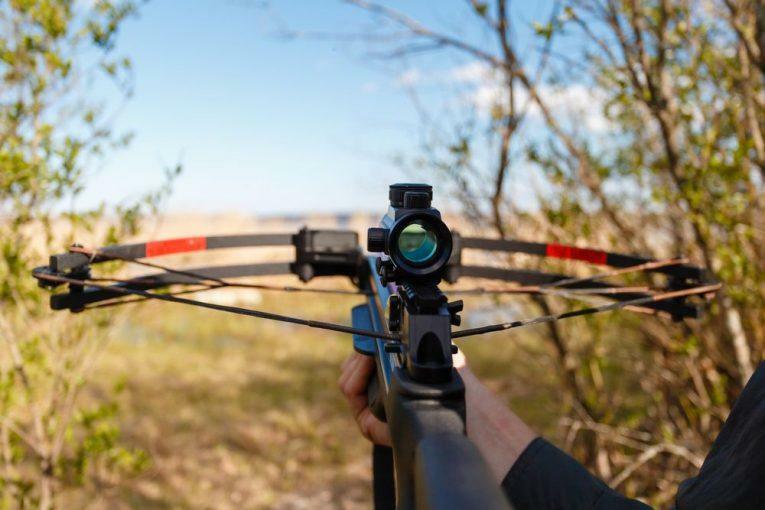 Given the fact that you are hunting animals and not stationary targets, it’s strongly advised that you grab a quality purpose designed hunting bow. There are 3 types of hunting bows on the market: Longbow, Compound bow and Recurve bow. All you have to do now is to select the bow type that suits your needs and requirements the most. For budget-minded hunters, it’s a good idea to buy a used bow instead to a brand new one. That would let you get to know the characteristics of a hunting bow, you could always upgrade your bow later. Needless to say, you must make sure that the bow you about to get is in working condition and stay away from worn out bows. Generally speaking, you have two choices when it comes to hunting arrows: Aluminum and Carbon. Aluminum arrows are available in numerous size and they tend to come at reasonable prices. On the other hand, arrows that are made from aluminum bend easily so their overall durability is not exactly good. Using modern manufacturing procedures, carbon hunting arrows are much lighter, more resilient and produce deeper penetration compare to aluminum ones. About their drawbacks, carbon arrows don’t offer a lot of sizes to choose from. After you manage to put down your prey, the next thing to do is to quickly remove its internal organ. The task is commonly referred to as “dressing the game” and it may get quite messy from time to time. Therefore, it’s essential that you prepare yourself beforehand and put together a dressing kit. A good kit should include a pair of shoulder length gloves, a couple of razor-sharp knives, a coil of rope and some nylon bags. These dressing items would be enough to help you process the prey and then preserve the quality of its meat. As you dress your prey, you are recommended to refrain from jerking the arrow because it could create a mess. Just cut deep into the animal and when the arrow become accessible, take it out. At any given time, you must not carry the animal on your shoulder or other hunters could accidentally shoot you. Wrap a piece of cloth around the animal carcass and drag it using a rope. In the case you are far from home, it’s a good idea to place several ice bags into the carcass to keep everything cool. Depending on where you live, you have to obtain a couple of important papers to legally hunt with a bow. You should take a look at the rules and regulation of the nearby reservation areas to get your application ready. After you manage to obtain the required documents, you may start chasing after your prey. Nonetheless, you should remember that your hunting privilege could be taken away if you violate the laws of the reservation. From the type of weapon to the limit of game, there are requirements for everything and you must obey them. Get familiar with the current hunting requirements so you don’t mess up by mistake. Once you have chosen an appropriate hunting ground, you need to start scouting and get a feel of the terrain. Be thorough and you should be to locate places that your prey tend to visit. Keep an eye on signs like droppings, tracks, broken branches and so on since they usually indicate high traffic areas. As animals have a very keen sense of hearing, you have to be still and quiet while waiting for potential preys to come into view. It’s likely you only have one chance to shoot before the animal could notice you so make it count. In most of the case, you should prioritize important organs to quickly incapacitate your prey.